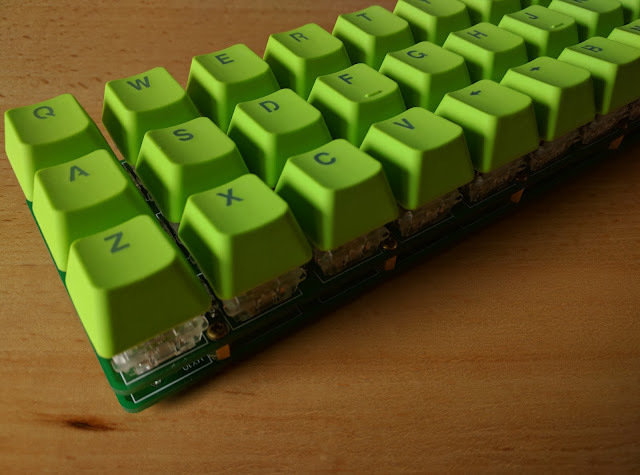 Gherkin with Zealios. 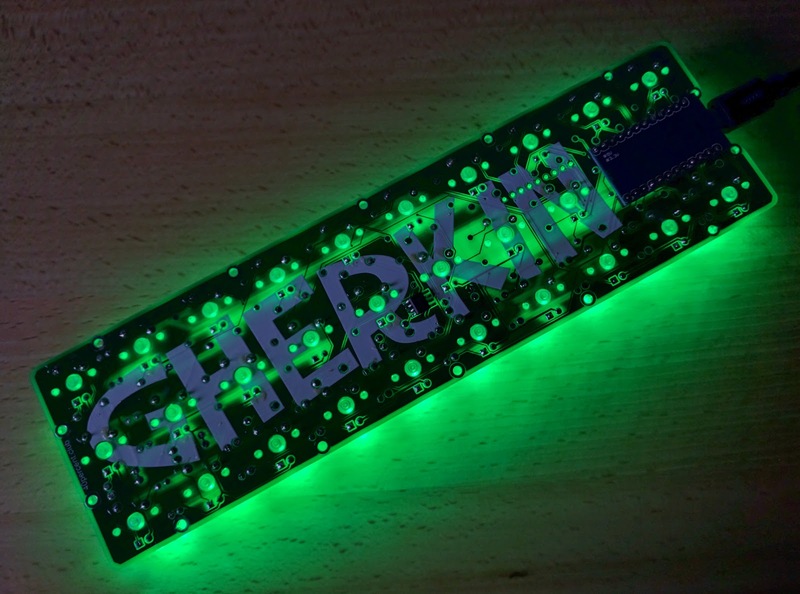 Built with germanium diodes. 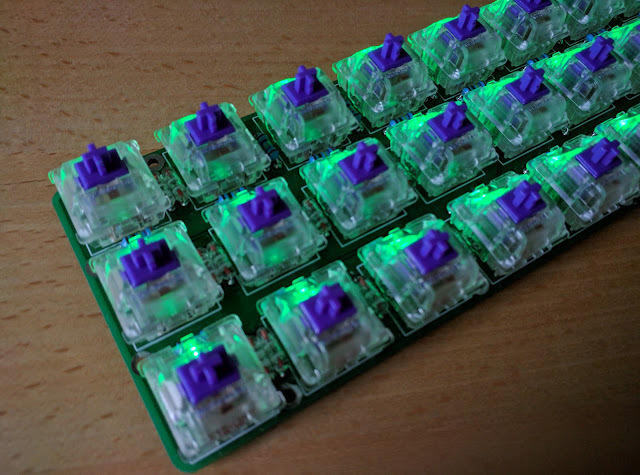 65g Zealios. 2x3x4mm LEDs installed inside switch. 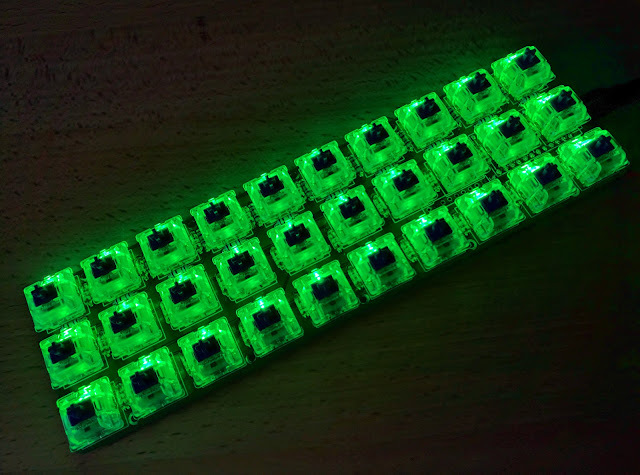 You can see the glass germanium diodes between the switches. 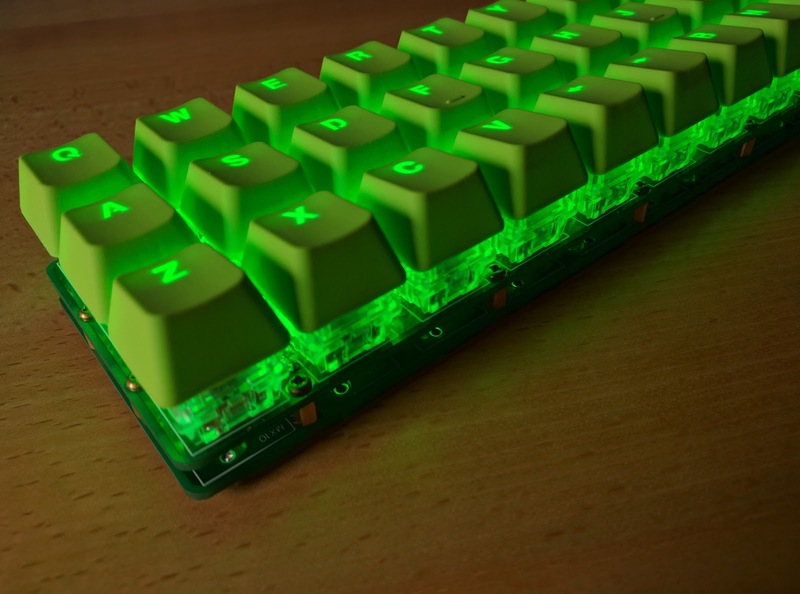 LEDs glow through the bottoms of the clear Zealios. 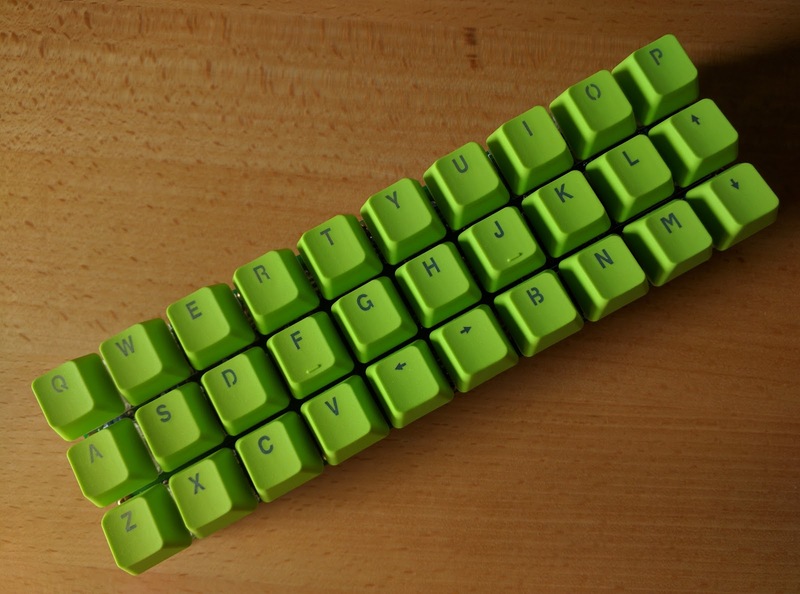 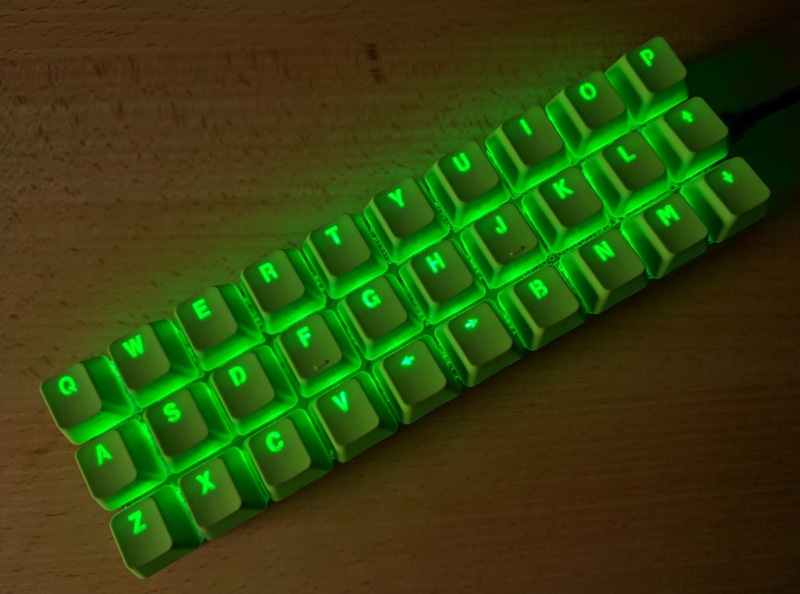 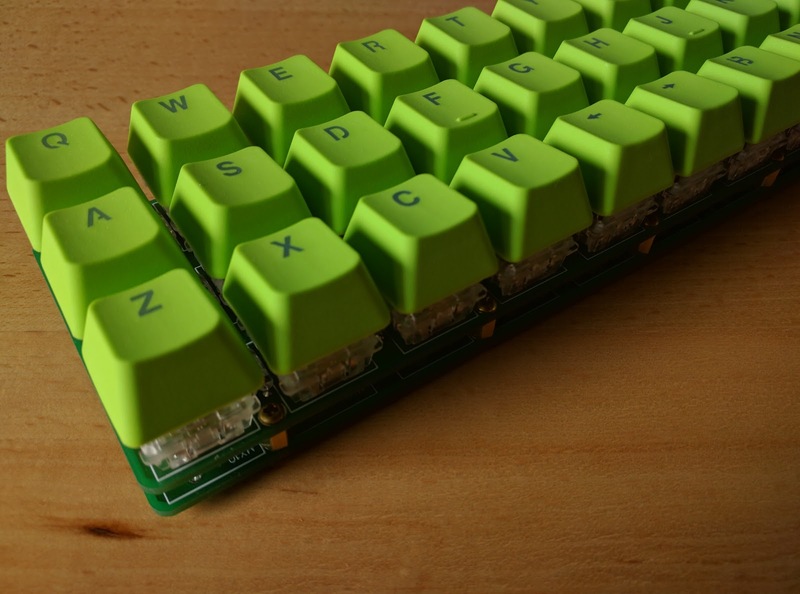 Cheap PBT green backlit keycaps from eBay.